Legazpi City, is the capital and component city of Albay, Philippines. It is composed of two districts namely, Legazpi Port and Albay district. It is also the administrative point and largest city in the Bicol region. It serves as the hub for trade and commerce, education, health services, as well as transportation. It is recognized as the most business-friendly city in Southern Luzon in the year 2007 by the Philippine Chamber of Commerce and Industry. It ranked at the 11th spot as one of the most competitive city in the country in the year 2013. And at the top 20 of the most livable cities in the country that participated the APEC summit competition. There were once three brave heroes namely, Baltog, Handiong and Bantong. Baltog came to the rich lands of Ibalon, where he’s the first amongst the locals to cultivate its lands. At that time, Ibalon was composed and terrorized by wild boar monsters which destroyed Baltog’s fields and crops. The monsters bring outmost terror to the town that stricken the brave soul of Baltog to do an action regarding the misfortunes of the town. So he decided to wait for the monsters at night and fought against them. His bravery and will to take them down won over the monsters large fangs and strong body. The town rejoices with the defeat of the monsters. Another hero came, Handiong together with his men. They already had fought many battles and won. Upon all Handiong’s battle, he had met the great serpent Oriol who is equally brave and powerful. In his pursuit to defeat the serpent he search it in the dark forest following the serpents beautiful voice. But throughout his perseverance though he was about to be enchanted and fall on the melodic trap of the serpent, he conquered the heart and respect of the serpent monster. Oriol then, taught Handiong how to fight against the monsters and from then on peace reign in Ibalon. The third hero of the Ibalon is Bantong, A friend to Handiong who was tasked to kill the half-man and half-beast giant, Rabot. Rabot was believed to come out after the tragic earthquakes, volcano eruptions and other natural disasters that happened in Ibalon. Through Bantong’s bravery, Rabot was killed and the place once again rejoices in peace and good harvest. 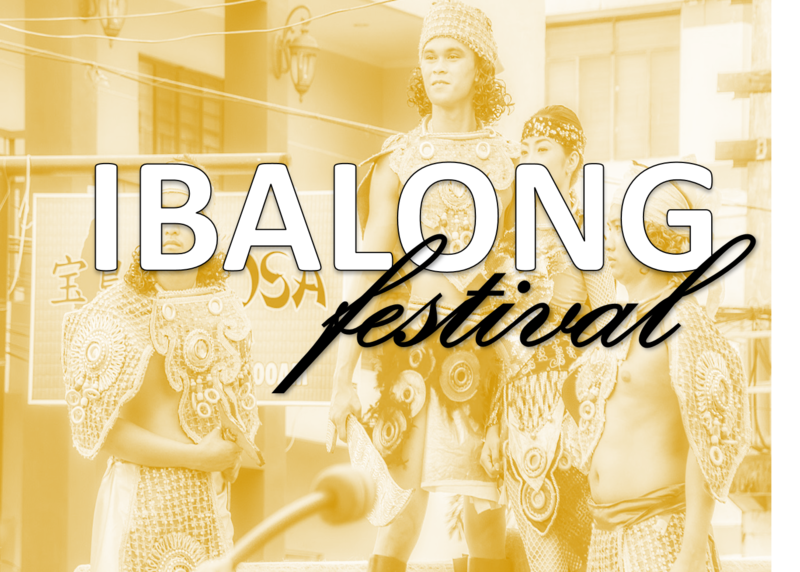 The Ibalong festival is in celebration of the three heroes of Ibalon. 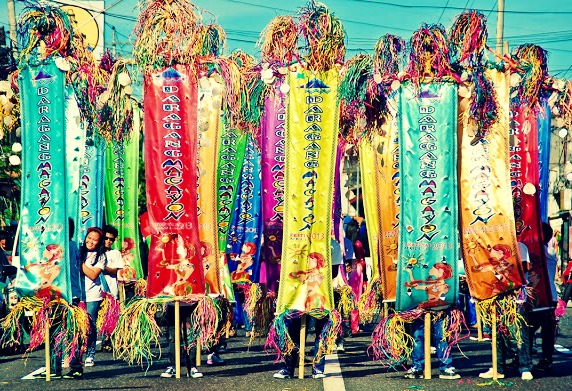 The festival is celebrated yearly in August. Activities such as street parades, street parties, band concerts, flea markets, drag race, food fest, cooking demos and firework displays cover the whole event. Apart from commemorating the mythical landmark of the Ibalong, the festival is a celebration of its people’s flexibility on experiencing calamities that happens almost every year because of its typhoon prone geographical location. The Ibalong Festival is a non-religious festival in Legazpi City, Albay, Philippines based on the Ibalong Epic, and is held on October 25-31. How to get to Legazpi City? Legazpi City Domestic Airport is located 5km west from the downtown. Philippine Airlines/PAL Express and Cebu Pacific have several daily flights from Manila to Legazpi and vice versa; Cebu Pacific also has several flights a week to/from Cebu. Cebu Pacific and PAL Express flights to Legazpi departs from the new NAIA Terminal 3 in Manila. Tricycle will take 10-15 minutes to get to/from the downtown, and should cost (private ride, January 2014) PHP50-60 after some bargaining. Taxis are also available in the airport. From the Philippines National Railways (PNR) Station in Manila (Tutuban Mall Station), you can ride a PNR train directly to Naga City. PNR provides sleeper coaches, price can range from ₱416-1300 (depending on which coach you want to stay – Economy, Air-con, Family Sleeper, Executive Sleeper). Reservation of seats is possible, please call +63 2 319-0048 for reservations/inquiries. Several buses travel to Legazpi from Metro Manila, serviced by southwest bound. Departed from several buses pool, can be several times within a day but from Legazpi back to Manila normally start from 17:30 and the journey takes 8 -10 hours. Asked to alight at Pasay City or nearby EDSA for more convenient travel to downtown Manila. Legazpi has a good bus terminus. Several canteen served local food and passengers will be departed from the main gate and follow the sign that mentioned its direction, e.g to Manila, to Naga etc. Make sure your bags are properly kept in the baggage compartment and bring your hand-carry into the bus. Tickets sales daily and can be booked in advance, just go to the counters and choose based on budget: economy (non air-con) to executive (air-con with seating lay out 2 – 2 or 1 – 2 are available).